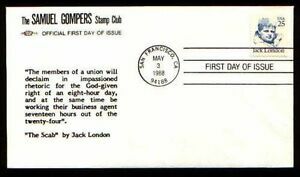 US SC #2182 Great American Issue/ Jack London FDC. Fleetwood Cachet. US SC #2182 Great American Issue/ Jack London FDC. Artcraft Cachet.